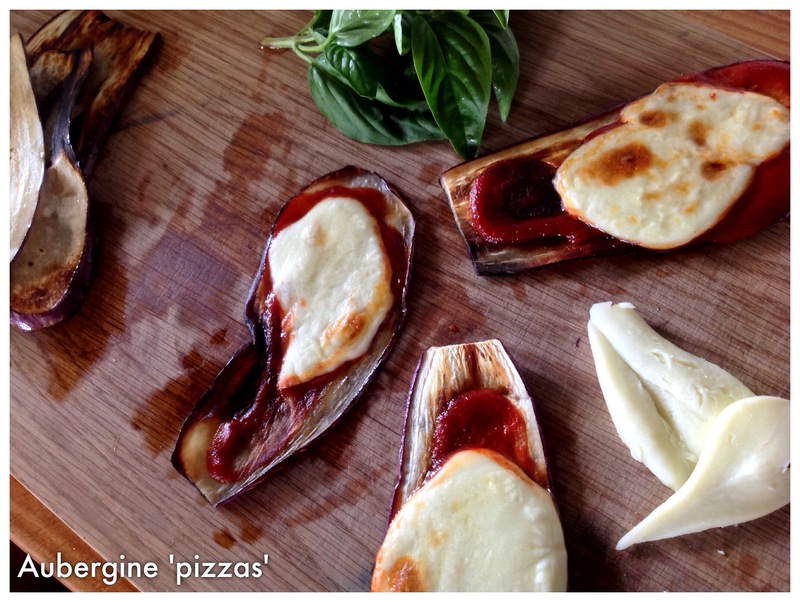 Slice aubergines into half a centimeter slices, brush with olive oil and fry in a pan until golden. Top with tomato purée and a slice of mozzarella cheese. Grill in the oven until the cheese has melted and has turned a golden brown. So simple! 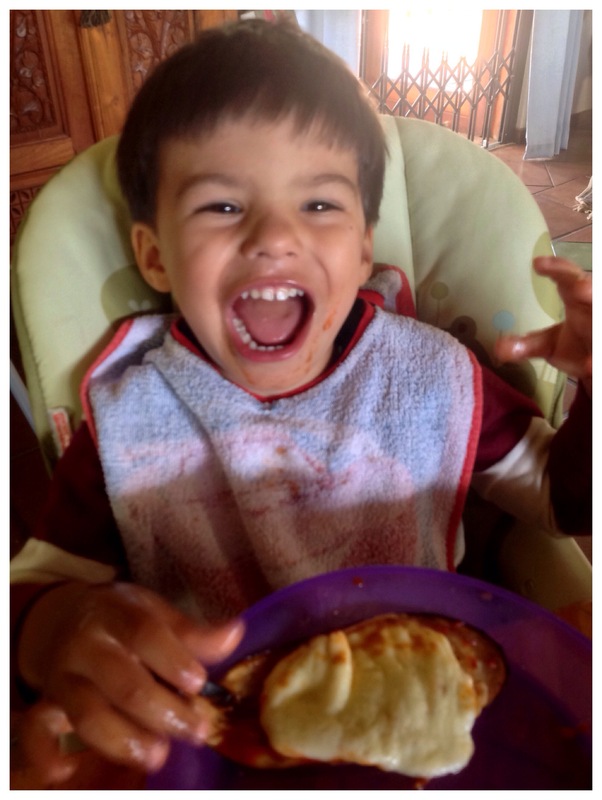 And yes, Seb loved it! We rolled it for easier eating. 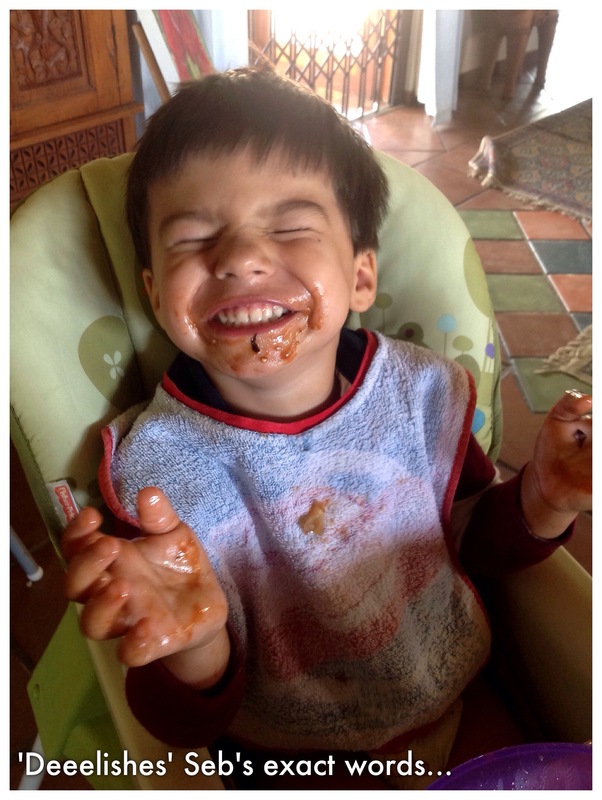 Oh yum yum….pure enjoyment…must have been really good!!! And yet, so simple – my favourite kind of tasty!